Your CV might be great and full of good things on a couple of pages but employers doesn’t have to read all of it. Can you imagine reading thousands of CVs, Resumes to read and decide. 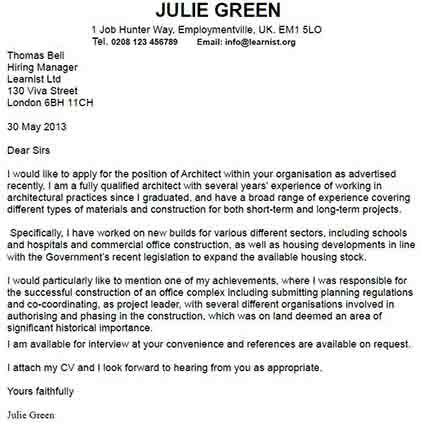 Cover letters make the life easier for the employers. They can pick whatever they need from your covering letter as it will summarize your CV. Community Nurse: The development of primary healthcare sees more nursing activities taking place in the local community than ever before. The openings for community nurses, who perform non-surgical tasks in the home or other local settings, are increasing year on year. Click to read free community nurse cover letter examples. Customer Services Assistant: The growth of Customer Relationship Management has led to the establishment of many more customer service teams, who are dedicated to responding to customer queries and fulfilling services requested by the telephone or online. Click to read free Customer Services Assistant cover letter examples. Administrator: Secretarial jobs may be decreasing as the personal computer changes the shape of office processes, yet administrative jobs are growing, largely due to the centralization of organizational systems. Click to read free administrator cover letter examples. 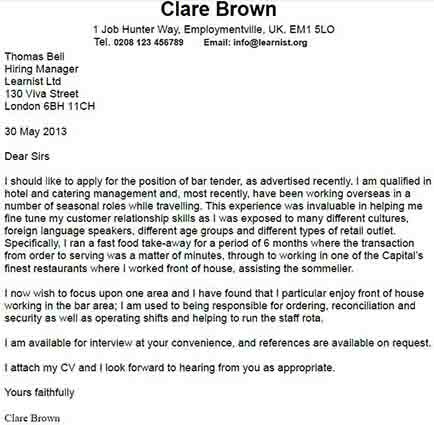 Bank Cashier and Checkouts Assistant covering letter example.